Uni Gallery by OosterBay located in the basement of The Plaza along Beach Road is an uni speciality restaurant. 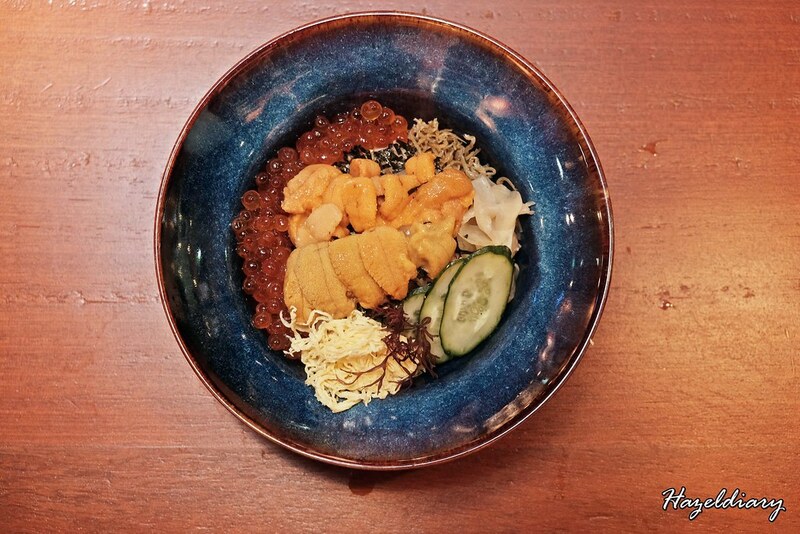 I did not know the existence of The Plaza until I was here for the uni (sea urchin) dishes. 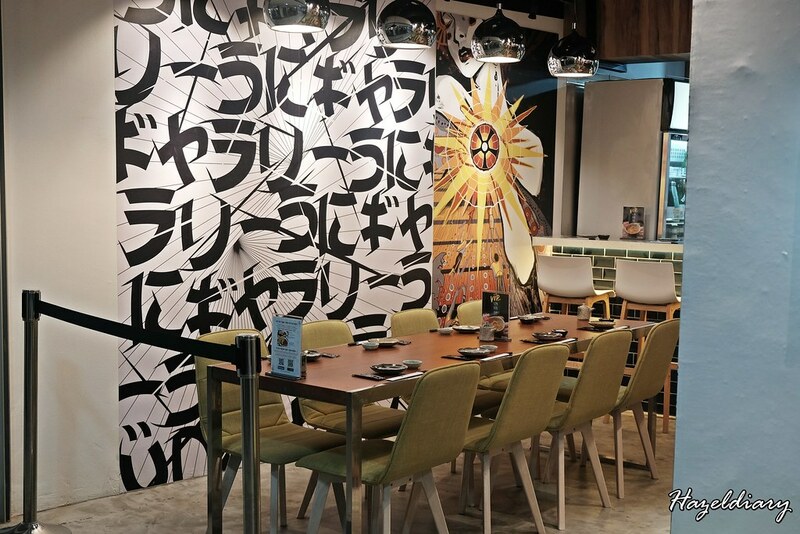 The restaurant is owned by an online seafood supplier who brings in overseas shipment in weekly basis. With the resources on hand, they decided to open Uni Gallery to cater the delicacies with a competitive pricing. I was invited by Chope for a tasting session with Uni Gallery. 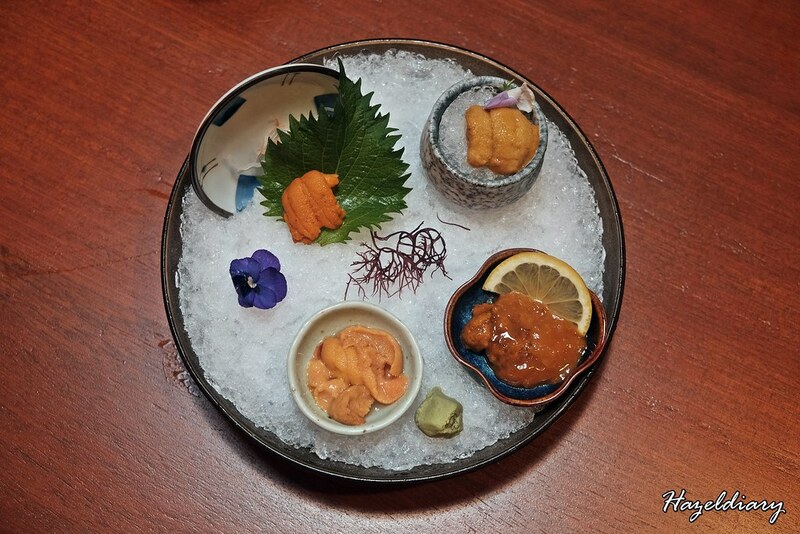 My sister and I tried a couple of uni dishes on that night. This is rather interesting. 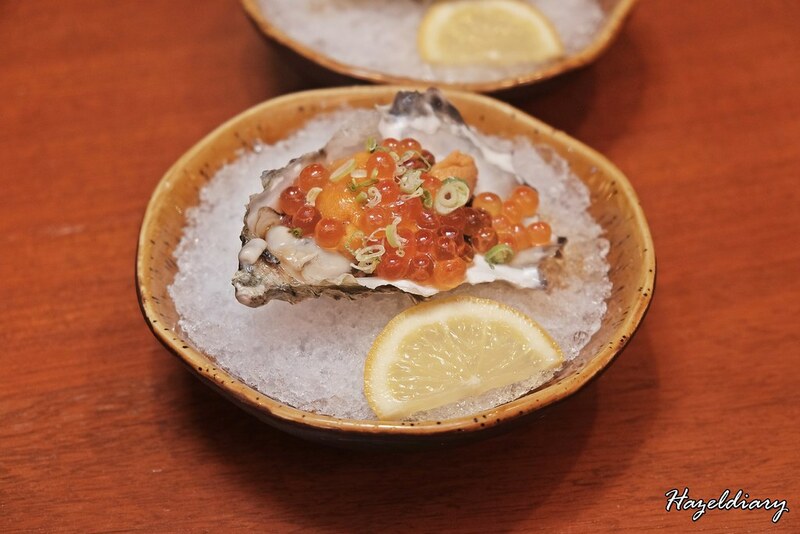 The uni served on an oyster shell and top with ikura. 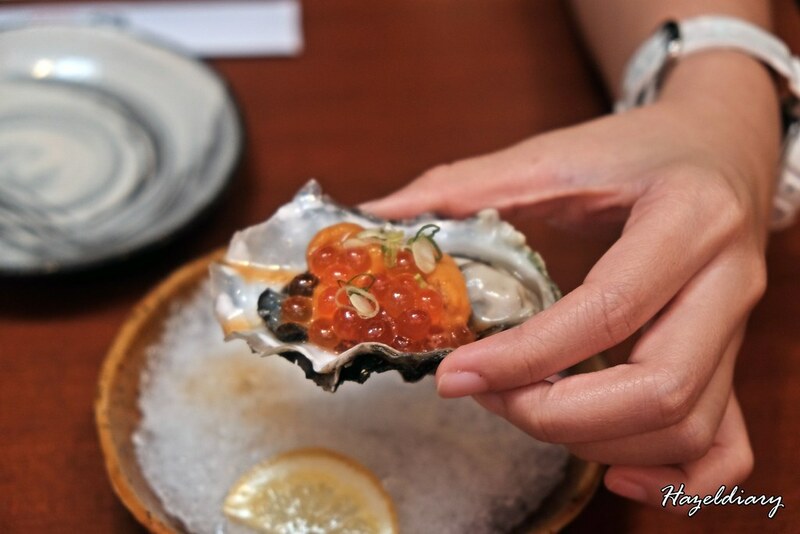 Just pop the fresh and plump oyster and feel the freshness of the ingredients. It was definitely satisfying feeling. 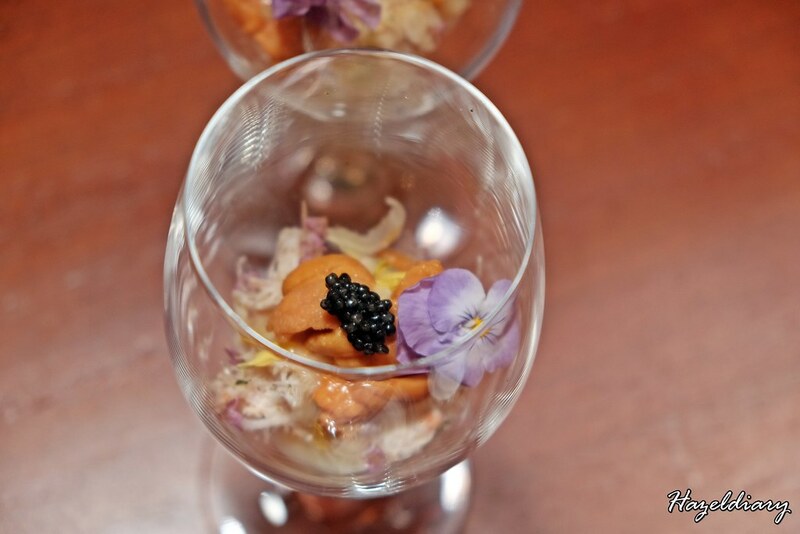 Lovely presentation consists of uni and sturgeon caviar with marinated Hokkaido crab meat. Mix everything together and taste the umami-ness of the ingredients. Refreshing and gastronomic taste experience indeed! Live uni served in shell. This is subject to availability in terms of the uni species. We had Bafun uni and check out the bright orange in colour meat. It has deep rich taste of the sea. There are different species of uni and you can check it out by ordering this sampler set. It comes with 4 different species including Bafun and Murasaki uni. The uni species may vary depending on seasons and also the shipments. This particular uni marinated with kombu shoyu is quite exquisite I would say. It is very salty to have it by its own. Thus, it is best to enjoy it with the seaweed. Bafun (red Uni) and Murasaki (Shiro Uni/ White Uni) can be identified with the colours. 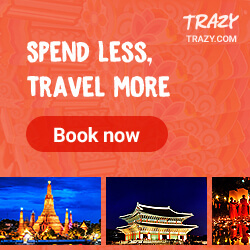 You can find out more about the differences here. This platter served with 7 different types of sashimi including Bafun Uni, Otoro, Hirame (flounder), Kanpachi (amberjack), Mekajiki (Swordfish), Akimo (monkfish) and Salmon Belly. Each slices are cut in perfect thickness and enjoying every taste of it. This is an acquired taste dish I would say. Kombu-seasoned uni served in frozen slices. 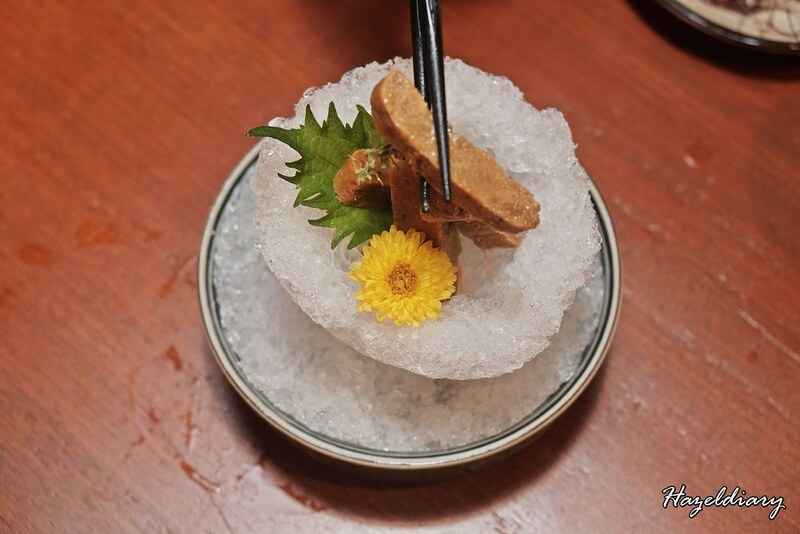 ‘Ruibe” is half frozen sashimi and this is the original way Hokkaido natives ate uni 1000 years ago. To be honest, the flavour is very intense and I am not a fan of it. It’s either you like it or not. 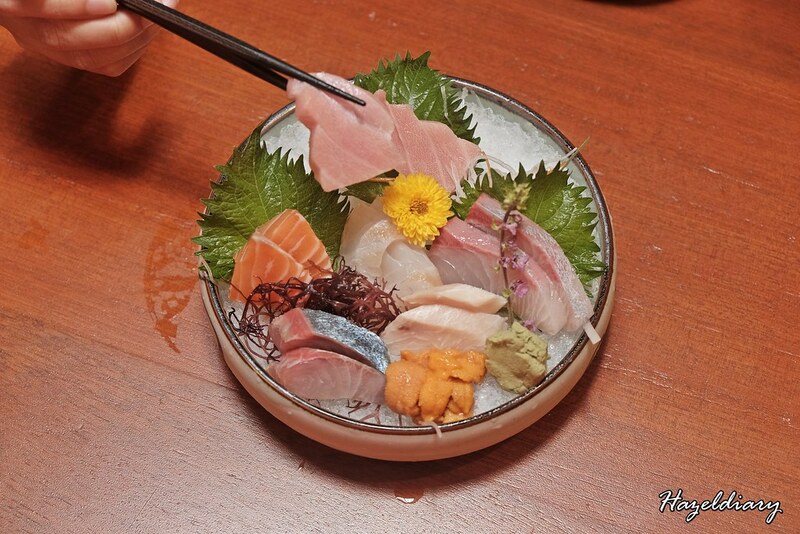 Chirashi served in 2 types of premium uni with ikura and condiments. I would suggest you to check out their lunch deal offering at S$34.90++ instead. 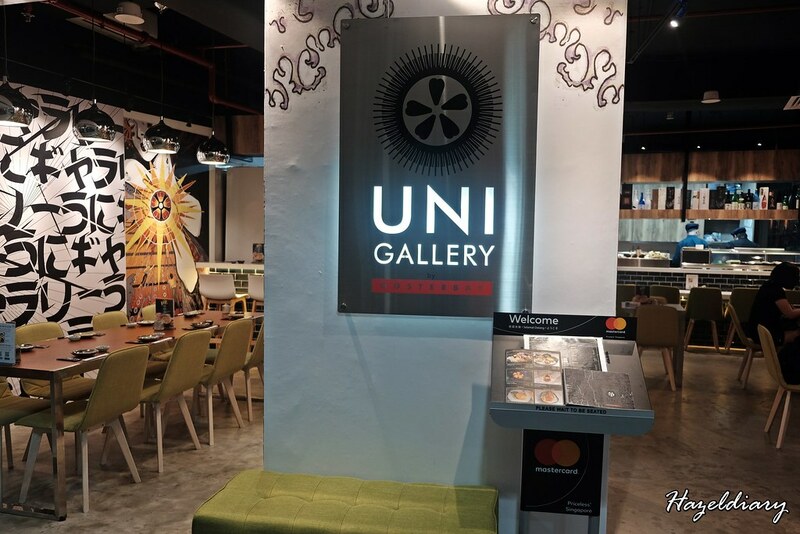 If you are looking for a different kind of dining experience, you can check out Uni Gallery that offers competitive pricing. 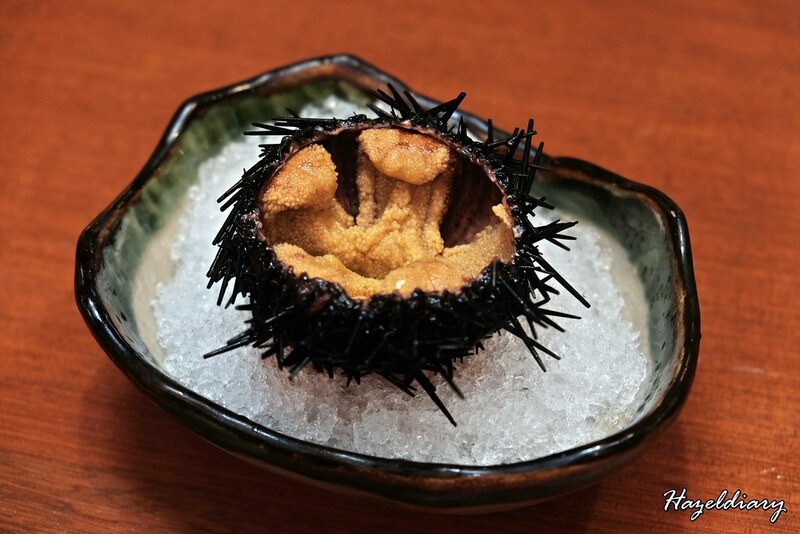 The freshness of the uni is important otherwise the taste would be horrible. You can taste the bitterness and the colours are dull too.